UCV says: As if the Crosswords of the world weren't enough, the Flipkarts have joined in and made the world a rather difficult place for a bibliophile. With so many new authors every day, dozens of titles every week and multitudes of reviews, there’s always too much to read and too little time. In the times of shiny jackets craning their necks out of bookshelves, and their much-publicized insides egging a reader to sample one writer after another, it is rare to return to the works of the same author. There’s a Bengali proverb I learnt from my mother: Je jaye Lankaye, shaye hoye Raavan, which means, ‘Whosoever goes to Lanka, becomes Raavan’. Orwell demonstrates just how power corrupts. 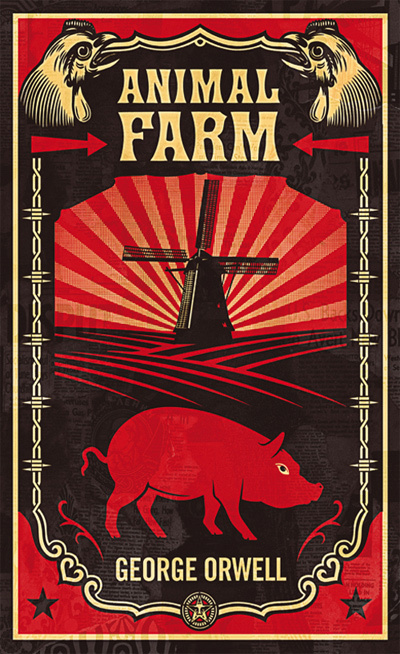 Animal Farm resembles 1984 in many ways. They are both essentially stories about the rulers and the ruled and about the illusion that is freedom. Both the stories are about the few who will lead and trod upon the rest who will follow. Thanks a ton, Nimue! If my reviews can sell these wonderful books to even one person, it is worth writing them. Your encouragement means much. yes!! this is a fantastic book!! absolutely loved the book, absolutely loved the review. great job! Great review! i recollect being sucked into the bleak world Orwell created in 1984. The ending depressed me. 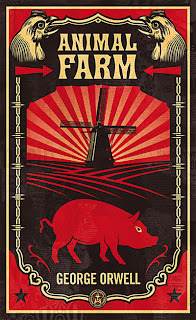 I didnt want to pick up animal farm. After reading your review, may be I will.